Visualize and share your GPS tracks. If you take a walk or any other kind of route outside with your GPS device and want to share your route afterwards, RouteView is a handy tool. Load a .gpx file and share it with others. When you share a route, a snap shot of the route map will be sent along with the data, via email or iMessage. 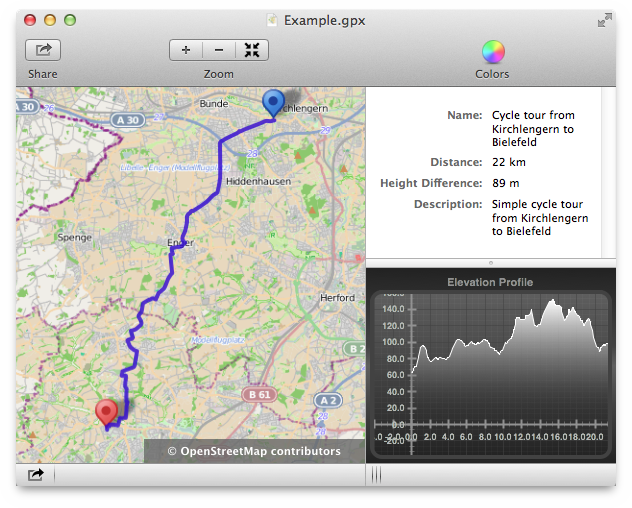 GPX files with incomplete data can be opened. Initial release (Mac App Store only).